Coastline Designs was born from our first business: designing and making functional stainless steel home furnishings with a retail store on Front Street in Georgetown, SC. 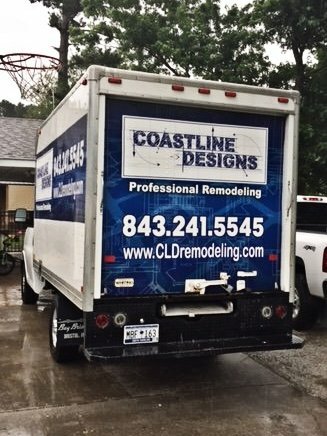 Chris was always encouraged by family to work extra so in 2003 he turned his regular weekend warrior repair man service into a professional remodeling business named Coastline Designs. We have maintained a multiple person crew for the past 10 years and have developed excellent problem solving skills and identifying irregular construction practices along the way. Our ingenuity coupled with a sinful amount of exposure to poor construction and our determination to correct those things has brought us through 10 years of remodeling services in the Myrtle Beach area and throughout surrounding areas. We have developed relationships with a pool of reliable and credible resources throughout Myrtle Beach and work with quality subcontractors, well known product sales and supply centers, regional manufacturers, and other professionals that help us along the way through all of the high quality remodeling services we perform daily. Our Myrtle Beach construction company can handle all jobs big and small.